The 1,559-foot summit presides over San Luis Obispo. 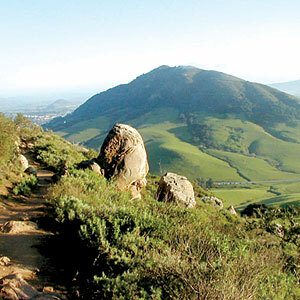 Green pastures and gnarled oaks that seemed ready to spring into motion give the mountain a Lord of the Rings majesty. And with throngs of Cal Poly students trail running and rock climbing, there’s also an REI-comes-to-the-shire vibe.